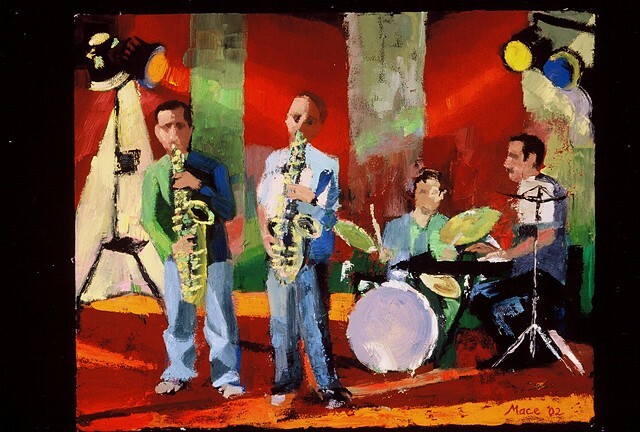 I got to be pretty good at painting saxophones, horns, and the standing bass. Eventually, Rob made me a band member even though I don't play any of the instruments I painted. This one was done in 2002.